How many systems do you use to coordinate care for your patients? 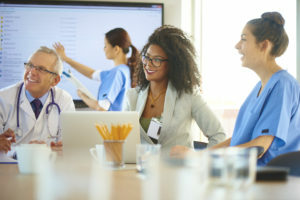 Michigan Health Information Network Shared Services has ONE solution to seamlessly manage multiple reporting systems, connected directly to Michigan’s statewide health information network. The Medical Information Direct Gateway or MIDIGATE® will streamline workflows, improve efficiency in care coordination, and improve data quality. MIDIGATE will enable you to strengthen your connection with your patients, stay updated on their health events (without having to track down information), and make your office work easier! MIDIGATE gives you a consistent view of your patient’s electronic health information, regardless of which EMR system you’re using. NOTE: MIDIGATE requires active use of several MiHIN services including Admission, Discharge, Transfer Notifications, Active Care Relationship Service, Discharge Medication Reconciliation, Health Directory, and Quality Dashboards.